Advent 2009, originally uploaded by earthchick. 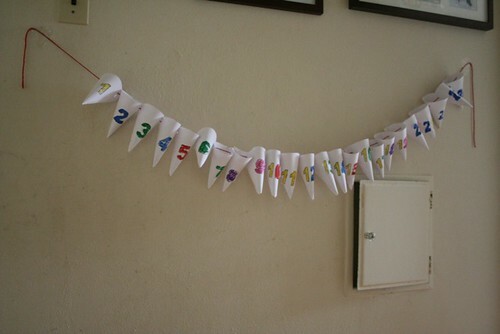 So every year I think I am going to knit or sew a super-cute Advent calendar – one that can be used from year-to-year. And every year I wait until the last minute, realize there is no time to get one done, and then go buy one of those little calendars that has the chocolates in them. Last year, I finally sort of got my act together. Oh, I still waited until the last minute, and I still didn’t make one of those cute knit or sewn Advent calendars. I just radically lowered my expectations about what handmade needed to entail. No sewing, no knitting, just straight-up kid-style craft: paper, glue, markers, scissors. Even so, the thing took way longer than I expected. But Little Buddha had tons of fun coloring the numbers and helping me get the calendar hung. In each cone, instead of chocolate, I put a little slip of paper with an activity on it. The boys loved it so much. And, fortunately for me, I photo documented the whole thing, so I could go back this year and see which activities went well enough to do again and which ones might need to be revised or dropped. All in all, it went great. There were a few that were tougher to pull off, and a couple that didn’t end up happening at all – you can click through the top photo if you want to find out more deets. But it was a big enough hit that the boys have been asking for two weeks when it would be time to do it again. Do you think I managed one of those cute knit or sewn ones this year? Stay tuned to find out…. Love it! My girl and I made ours this year too – paper cone trees with stars on top that make a “forest”. I also put slips of paper insided with a clue. First she has to match a number written on a piece of paper to the number tree (hey – she’s 2), then follow the clue to find her gift. After making the calendar I realized it’s kind of fragile and will be tough to store so next year I’m going to make a felt stocking garland calendar. I’m a bit crazy, but I really want one we can use year after year that my girls will always remember. I have a few activities, but next year I’d like to try to gear it more towards that. This year there are socks, books, games, a little candy, stuffed Rudolph, etc. *If you’re at all interested I posted pics on my blog. Oh yay, I’m so glad you blogged about this! I remember this from last year- it’s so cool! Eventually I want to make an advent calendar for Bean, and I LOVE this idea! Thanks for sharing about it! 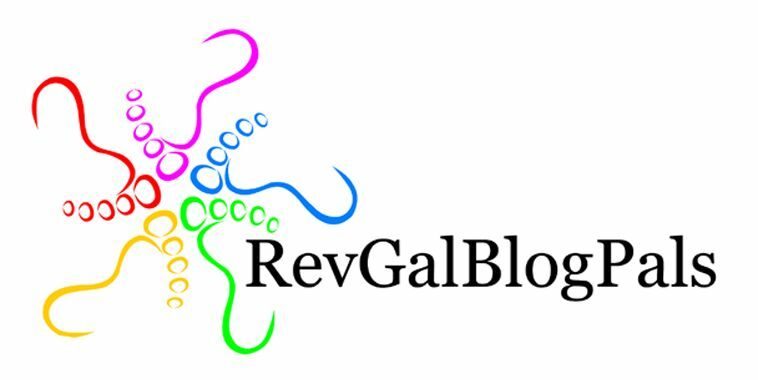 I don’t know how I happened upon your blog – knitty I think… I really love the creativity of your projects. 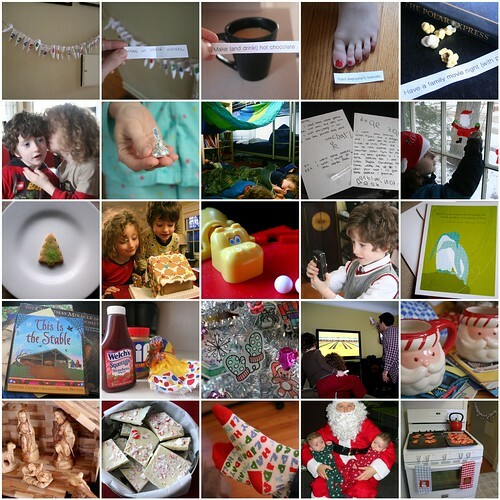 The advent calendar ideas is really awesome, and I love the photo journal too. I feel inspired to hug my boys and create something this fun and creative for them too.. Thanks for Sharing! !